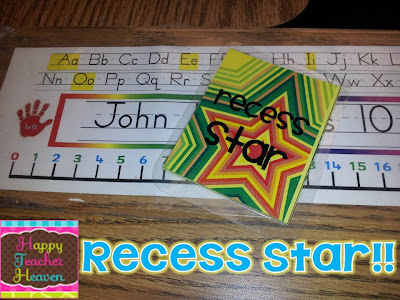 Teaching Blog Round Up: Recess Rants to Recess RAVES! and leaves out all the equipment?? We do!! We are fortunate to have a door straight into our classroom from the playground. 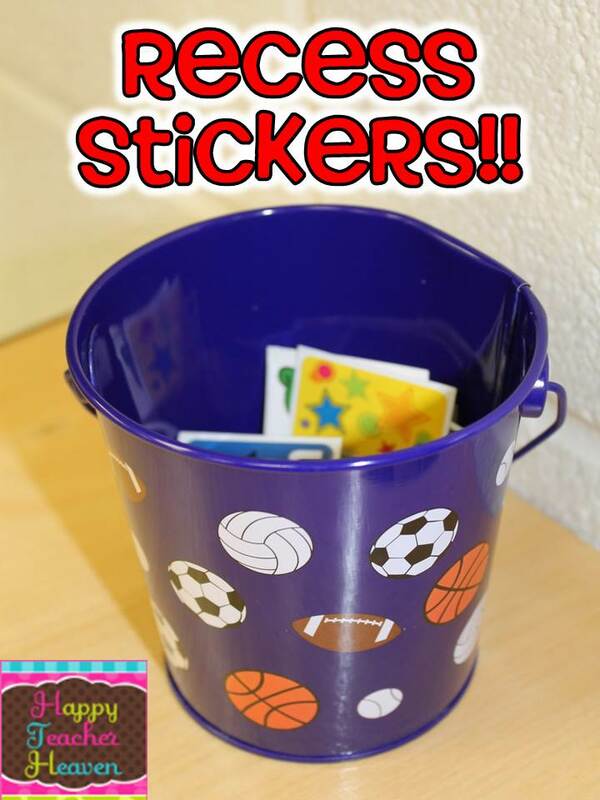 To encourage my kids to be more aware of cleaning up at the end of recess, I put some stickers (FREE from Highlights magazine) in a cute little sports bucket right by the door. 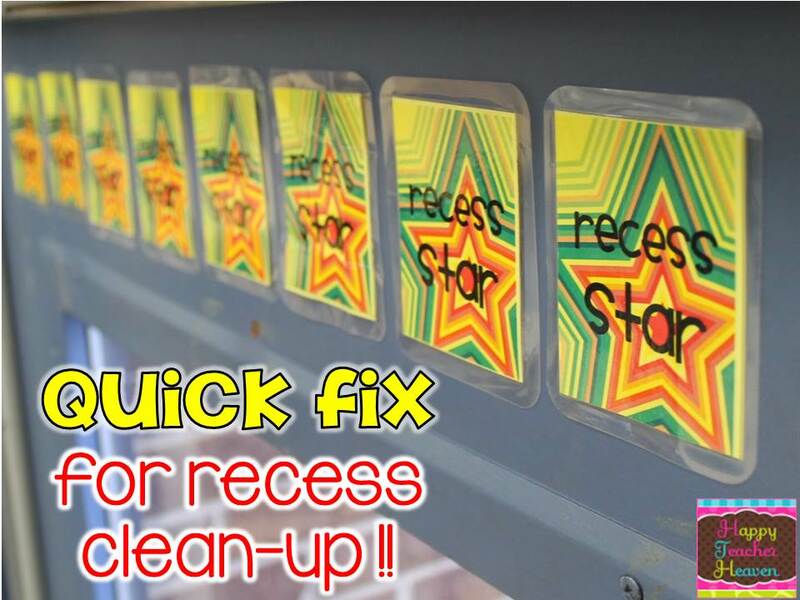 My idea was that kids who picked up equipment could grab a sticker on the way back inside. the sticker pail created a total traffic-jam in the doorway. So, like any good teacher, I very quickly revised my plan! 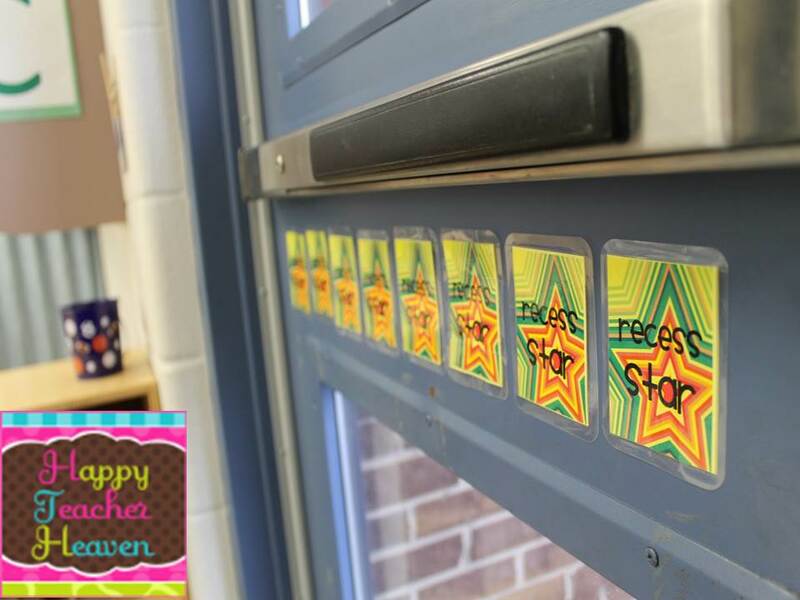 Our recess door is magnetic, so I decided to use that to my advantage! 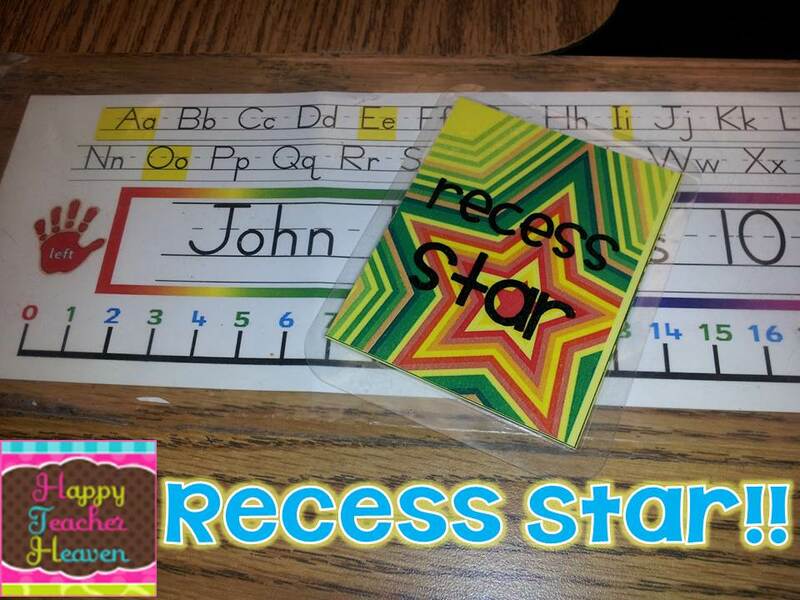 I printed some "Recess Star" cards, laminated them, and slapped a magnet to the back. Now, when kids pick-up equipment at recess, they simply grab a card off the door and put it on their desk tag. 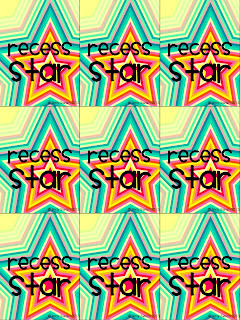 If you'd like to give it a try with your class, you can click the picture below and download your very own set of "Recess Stars"!